The media thinks the RSS is obsessed with the BJP. It 's wrong. The media’s tendency to draw political conclusions from the non-political activities of the RSS stems from a lack of understanding about its core beliefs. The top decision-making body of the Rashtriya Swayamsevak Sangh — the Akhil Bharatiya Pratinidhi Sabha (ABPS) — will hold a three-day meeting at Nagpur from March 9. The ABPS came into existence after the RSS prepared its constitution in the aftermath of the ban on the organisation in 1948. In March 1950, this body held its first meeting and Bhaiyyaji Dani was elected sahsarkaryavah (general secretary). The media is treating the meeting as ‘politically significant’. There is speculation, and conclusions — from purely a political and electoral perspective — are being drawn. This tendency has gained momentum ever since the BJP-led NDA came to power in 2014. With the RSS being considered the BJP’s ideological mentor, the media has got into the habit of putting all its activities, especially meetings of its functionaries, under the political scanner. In the highly competitive world of news, reporters are compelled to write front-page stories and score over rivals by ‘breaking news’. And in a rush to do that, they have started treating the RSS as a political party. The problem is that those who want to write good, spicy, action-packed, racy political copy will generally get disappointed if they really report the facts when it comes to the RSS’ closed-door meetings. These meetings are a reporter’s nightmare. What do you expect a reporter to do when he or she comes to know that the RSS brass discussed only its own organisational issues and did not even say a word on the BJP at the three-day ABPS meeting? So, stories are cooked up, rumours turned into gossip, and gossip is turned into ‘news’ in reports on the RSS. With the 2019 polls just a year away, the media contingent is going to land in Nagpur to report on the ABPS meeting and most likely carry out the same drill. One just has to look at the reporting of the largest get-together of swayamsevaks and other members of the society organised by the RSS at Meerut on February 25. The so-called mainstream media’s portrayal of it as a show of strength by the RSS in the Hindi heartland, and how it would benefit the BJP, was comical. Sarsanghchalak Mohan Bhagwat categorically said in his speech at the event that the RSS didn’t believe in so-called shows of strength. But the only way the media could look at the event was that it was held in the electorally important state of UP because of the 2019 polls. The RSS programme would help consolidate the BJP’s gains in the state — that was the message conveyed directly or indirectly by the media. Now, let us look at some facts. It is a well-known fact that the schedule of the RSS chief is finalised at least a year in advance and that such programmes (held at such a massive scale) are often planned two to three years ahead. It is very common for the RSS to hold programmes comprising swaymsevaks and other members of the society across the country round the year. Such programmes are attended by thousands, and some by lakhs, of people. And the RSS has been doing it for 92 years. In 1952, the RSS launched the ‘cow protection movement (gauraksha andolan)’, demanding the prohibition of cow slaughter in the country. Swayamsevaks collected over 1.75 crore signatures from 85,000 cities and villages. All the signatures were presented to President Dr Rajendra Prasad. Actually, the tendency to draw politically coloured conclusions from the RSS’ non-political activities stems from a lack of understanding about the core beliefs of the swayamsevaks. It is difficult to believe for an outsider that the RSS is least interested in indulging in any political activity. The organisation was founded on the core belief that politics could not transform a society in the long run, and it continues to stick to the belief more firmly than ever. That is why its activities are focused on transforming the society through physical, intellectual and spiritual activities. The RSS is crystal clear that whatever needs to be done politically lies in the domain of the political parties of the country. The format of the ABPS meeting has been clear since its inception. Covering the event is bound to be a huge disappointment for any political journalist because no political issues are discussed at the meeting. However, the participants do discuss issues of national importance and pass resolutions on them. Last year, at the ABPS meeting in Coimbatore, a resolution was passed expressing concern over growing jihadi activities in West Bengal. The most important activity that consumes a significant part of the meeting is the presentations made by around 50-plus organisations. 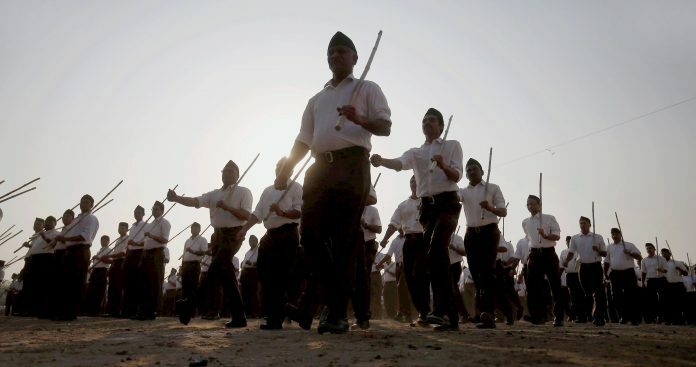 These organisations are inspired by the RSS and run by its swayamsevaks. This includes the likes of the Vishva Hindu Parishad, the Bharatiya Mazdoor Sangh, the Akhil Bharatiya Vidyarthi Parishad, and, last but not the least, the Bharatiya Janata Party. The representatives of these organisations are given around three to five minutes each to present any new learning or innovative idea they have implemented over the past one year. What brings great disappointment to the ‘byte collectors’ and the TV studio anchors of news channels is the fact that the BJP often ends up getting less time than other organisations. However, one often sees reports to the contrary as the media creates a frenzy just to spice up stories and gain more eyeballs. The journalists or commentators who write in print and on digital platforms also come under intense pressure from their editorial bosses to flow with the tide. The problem is that the media ends up projecting the RSS as any other political party or an organisation obsessed with only the BJP. This is a source of concern because it creates misinformation. Developing an understanding about the way the RSS functions can really help the Fourth Estate report authentically on the organisation, whose ultimate aim is that the Bharatiya society be completely transformed. After achieving this objective, the RSS should vanish without even a trace in history. It has never wanted any accolades. Both RSS and BJP are same a group of gangster and trigger hooliganism , riots , violence etc .. The fact is that they, that is the bjp & rss combine, wants only them and their ideology, in our beloved country.. They want a India where they are free to do what they want, so every one else -OUT. The people of the north east, especially Tripura, will now be wondering -what the hell did we vote to power. They can soon be sure of being dictated to what to eat, wear, see and hear……. AFTER FOUR YEARS, IF YOU STILL EXIST AS A STATE CALLED TRIPURA……. AS USUAL, YOU CAN DECIDE YOU FATE, AGAIN…. An excellent article that states some basic facts. Every swayamsevak knows these facts. But no non-swayamsevak knows them . . . I was fairly aware that RSS distanced itself from the Indian freedom struggle. But this is a new one. Now they want to distance themselves from their brood – the BJP. It would be comical if it wasn’t so tragic. So basically now that BJP is under the pump, RSS wants their hands off the mess created and stink of corruption. I m glad most RSS workers are not fathers – they’d make terrible parents what with responsibility and all. The problem is not media and its bytes. God knows the trolls and spokespersons and PM speak way too much when they start. Lot of gibberish but it’s just a lot. So media is not sulking and making news out of nothing. The cow obsession of RSS has trickled down into BJP governments and people are being killed. Their other pet projects like temple are going to be fulfilled by their political spoons. So you are fooling noone by saying RSS has zero political interests. They might have gotten bored of the great ruin India project, and the press is perhaps incapable of stooping down to level of understanding their harebrained thinking. But RSS is definitely political. Unless writer doesn’t understand English meaning of political. Very true description of RSS compared to blah blah of writer. RSS does not respond back to criticism as well. I think the writer is typically a Sanghi who is implementing RSS strategy of distancing itself from the Failed and Corrupt Modi Sarkar. The fact is that they are so intellectually challenged, they treat everyone just as naive as them.